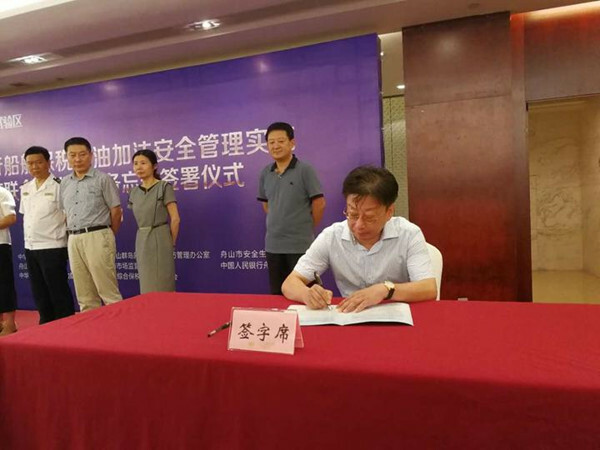 A memorandum of establishing a joint disciplinary mechanism for bunkering regulation was formally signed in the China (Zhejiang) Pilot Free Trade Zone (FTZ) on Sept 6, to ensure the safety of bonded fuel bunkering for ships engaged in international voyages. It is the first memorandum of its kind ever established in China, signifying a new breakthrough that Zhoushan has made in its bunkering regulation. Bunkering has been a top priority in Zhejiang FTZ's efforts to develop a full industrial chain of oils in recent years. Ten domestic bonded fuel suppliers have already finished their business layout in Zhejiang FTZ to date, and there are now 50 vessels and 84 shipping agents in this area that are engaged in bunkering. However, the regulation for the bunkering market is currently seen as being unsatisfactory due to poor coordination among related departments and the lack of a disciplinary mechanism for dishonest companies. 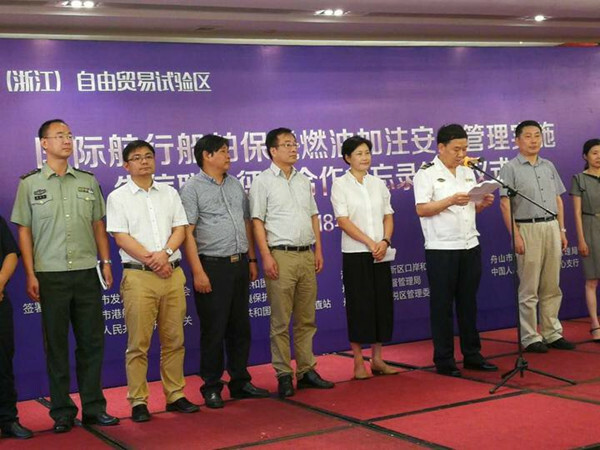 With the release of the memorandum, the joint disciplinary mechanism established by 11 departments of Zhoushan authorities will enter a trial period from September. Joint disciplinary actions will be taken against oil supplying companies, vessels and shipping agents that have committed serious actions of dishonesty. By including the manufacturers, sales agents and users of bonded fuel into the credit system, the mechanism will help ensure the legal operation of the market and foster a sound climate for the bunkering business in Zhejiang FTZ, said an official of the Zhoushan Maritime Safety Administration.